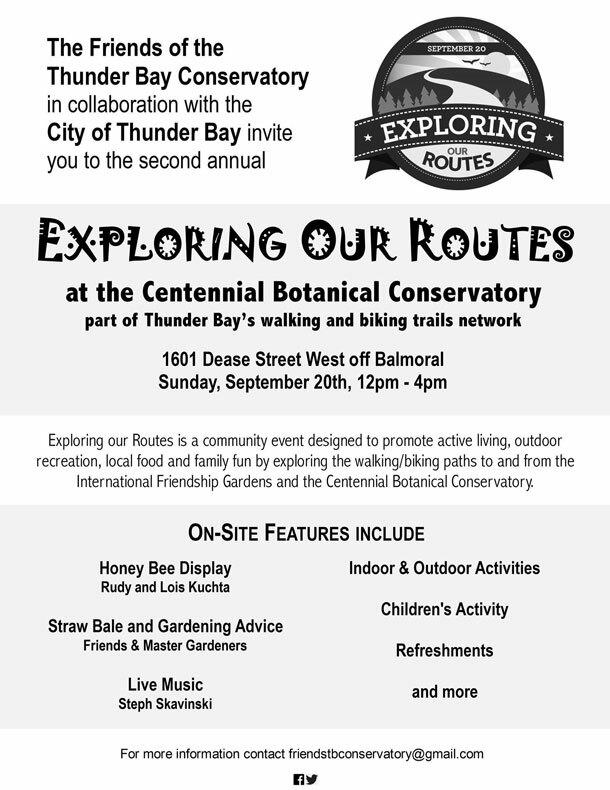 THUNDER BAY – LIVING – Exploring Our Routes: The Friends of the Thunder Bay Conservatory, in collaboration with The City of Thunder Bay, are proud to participate in Exploring Our Routes. The second annual Exploring our Routes event is designed to promote active living, outdoor recreation, local food and family fun by exploring the walking/biking paths to and from the International Friendship Gardens and the Centennial Botanical Conservatory. The Conservatory will feature indoor and outdoor activities including a honey bee display, straw bale and general gardening advice, live music, children’s activity, refreshments and more. For further information on this upcoming event, please visit us @ Friendstbconservatory.com, follow the Friends of the Conservatory on twitter & facebook. 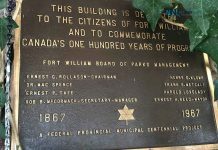 Information also available on the City of Thunder Bay website.